Some people are born with the competitive desire to succeed. Huntington's Chris Algieri seems to have that competitive desire. An athlete for his entire life, Chris has succeeded in whatever he has put his mind to. In High School Algieri was a State Champion Wreslter. After wrestling, Algieri took up kick boxing, and quickly became an amateur champion before turning pro, where just two years later he was a world champion. Now Algieri has his sights set on becoming a champion in the sport of boxing. Algieri who already has an impressive 10-0, 5KO record looks to improve on that, and continue on his path towards boxing supremecy when he takes on Philadelphia's tough Julius Edmonds on Thursday March 17th - St. Paddy's Day, at the Plattduetsche Park Restaurant in Franklin Square, NY. The bout, scheduled for eight rounds in the jr. welterweight division, headlines Joe DeGuardia's Star Boxing, "March Mayhem" card. The bout on the 17th will mark Algieri's first since signing with Star. Algieri was supposed to make his debut in late 2010, but suffered a broken hand in training and was forced to pull out of his scheduled fight. 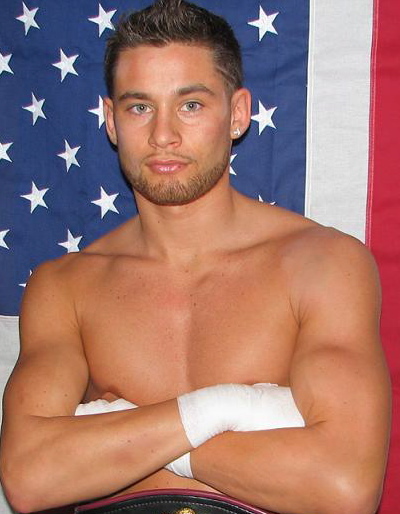 Now Algieri is back, fully healed, and looking to start making some noise. "I'm very happy with the team around me right now," says Algieri. "I'm training with Keith Trimble at Bellmore Kickboxing Academy, and I have been working with Mike Camp at Competitive Edge for my strength and conditioning. 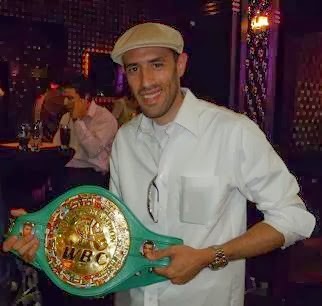 I feel very strong and am really excited to get my boxing career back underway with Joe (Joe DeGuardia, CEO and President of Star Boxing)." While Algieri only fought once in 2010, as he went through his promotional change, he stayed very active with his training, spending the first six months of 2010 training in Las Vegas, where he worked with such prospects as Rayshan Hudaynazarov (14-0, 12KO's), Anthony Lenk (10-1, 5KO's) and most notably, highly regarded, undefeated Saul "Canelo" Alvarez (35-0-1, 26KO's) who fights for the WBC Jr. Middleweight Championship this Saturday night. Working in Las Vegas, really helped improved Algieri's game. While Boxing is a large part of Algieri's life, it certainly isn't the only career he is pursuing. A graduate of Stony Brook University, Algieri, who is of Italian and Argentinean descent and speaks Spanish, is currently studying Organic Chemistry at Touro in Bayshore, where he is finishing his pre-medical coursework. Algieri is looking to take is MCAT's sometime early next year, and hopes to be able to attend Medical School at Hofstra in 2013. At which time, if everything goes as planned, he will have become a champion again, in yet another sport. Tickets for "March Mayhem" are priced at $100 for Gold Ringside (first row), $75 Ringside, and $50 for General Admission. Tickets can be purchased by calling Star Boxing at 718 823-2000, or visiting www.starboxing.com. Tickets may also be purchased at the Plattduetsche the night of the fight starting at 1PM. Doors open at 6:45PM with the first bout scheduled for 7:30PM. The Plattduetsche Park Restaurant is located at 1132 Hempstead Tpke, Franklin Square, NY 11010.